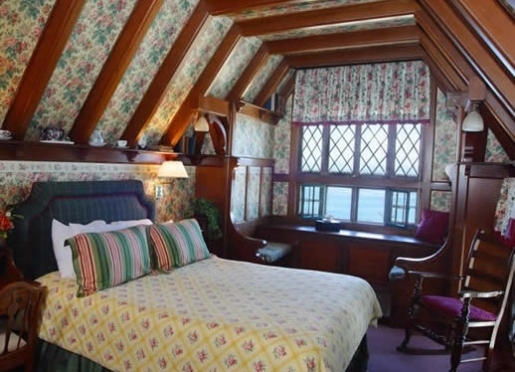 Perhaps the most beautiful and famous inn located in California, the Green Gables Inn is a historic gem with panoramic views of the Monterey Bay. 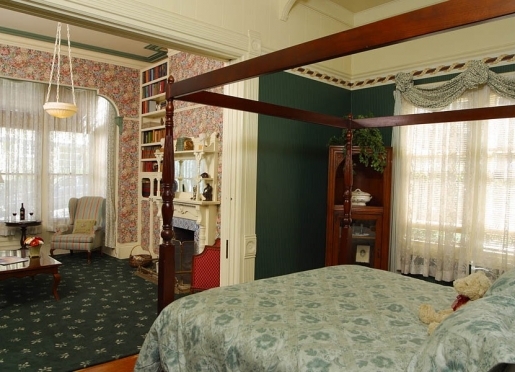 Every detail in this exquisite Queen Anne Victorian, built in 1888, has been meticulously restored for your enjoyment. 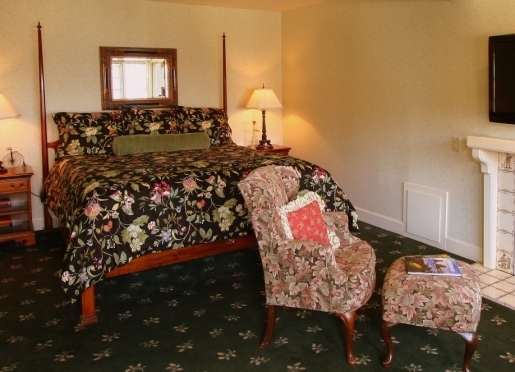 Make your reservation well in advance for a very special getaway. 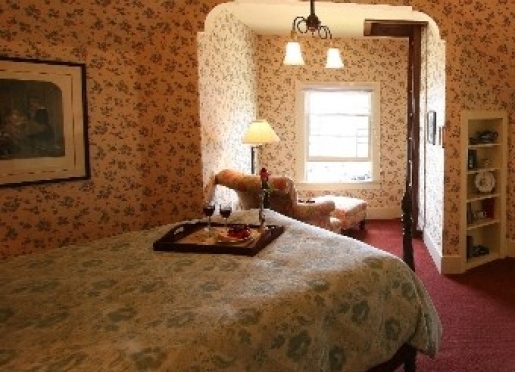 The friendly staff of the Green Gables Inn provides professional service with a great big smile. 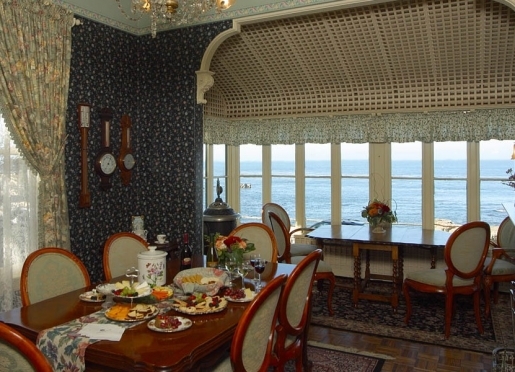 Each morning they prepare a bountiful breakfast, served in the dining room overlooking the rocky coastline. 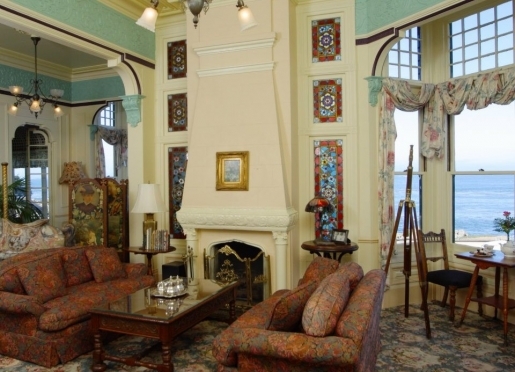 Afternoon wine and hors d'oeuvres are enjoyed in front of the fire in the parlor. 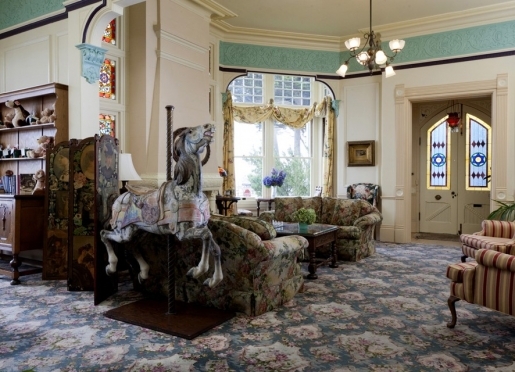 Tickets to the Aquarium, bicycles for a ride into Pebble Beach and a variety of books and games are all available at the inn. 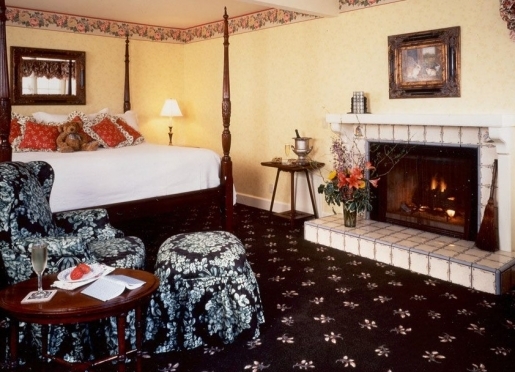 Make your reservation well in advance for a very special getaway. 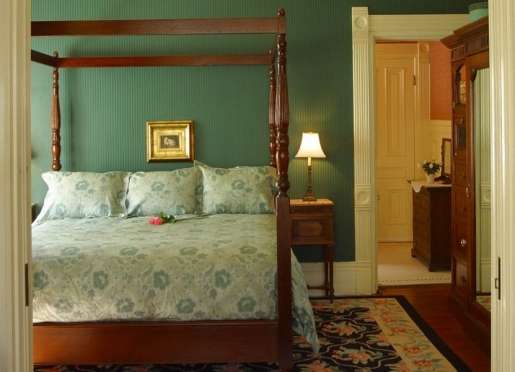 The Green Gables Inn has 11 beautifully decorated rooms each more unique than the one before. 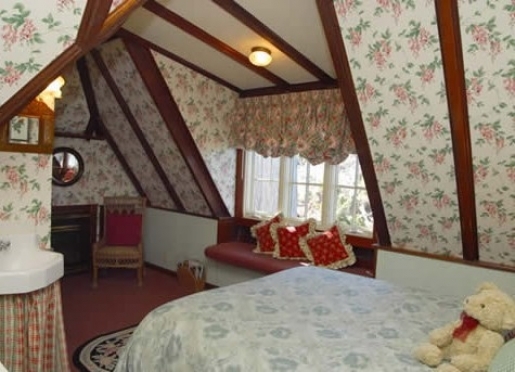 The Chapel Room is filled with lustrious mahoghany, while the Gable Room has a ladder to the cozy attic room in the gable itself. 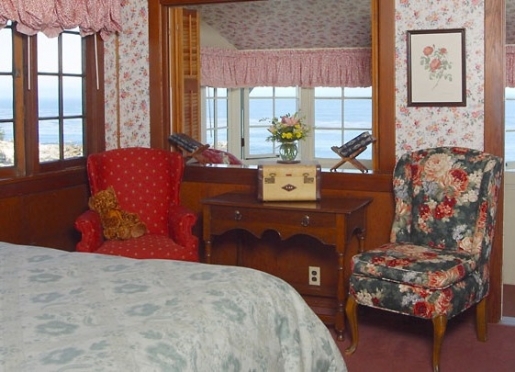 The Lacy Suite has a magnificent canopy bed and the Balcony Room, with its sweeping ocean views, is the perfect room for daydreaming. 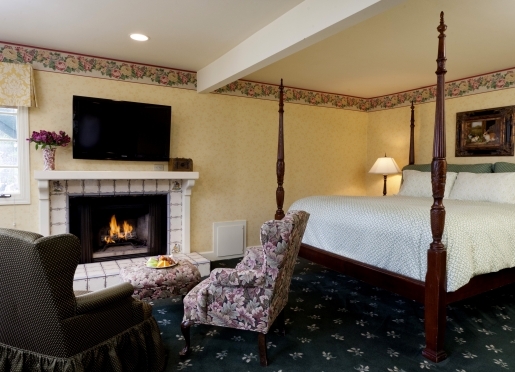 One pet-friendly guestroom is available for an additional charge. Click here for more information. 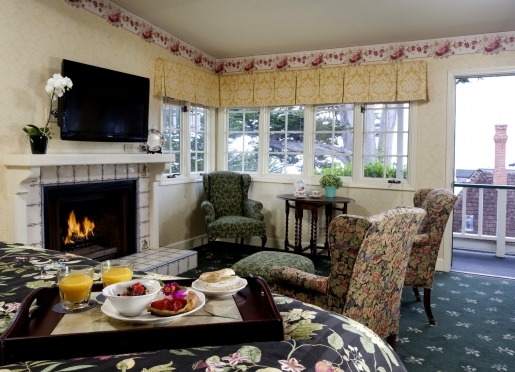 Our signature breakfast buffet is included with your stay and features a sumptuous hot entrée prepared by our innkeepers. Blueberry Pancakes, Artichoke Quiche or Grand Marnier French Toast are just a sampling of what you can expect to find at breakfast each morning. We also prepare a fresh baked good such as our delicious Honey-Buttermilk Muffins, Blueberry Sour Cream Scones or Pumpkin Muffins. 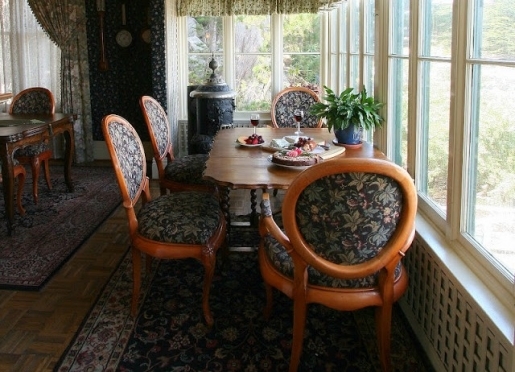 Breakfast also always includes cereals, breads, fresh fruit, juices, tea and coffee. Most of the dishes we prepare each morning can be found in our 6th edition The Kitchen Cookbook. 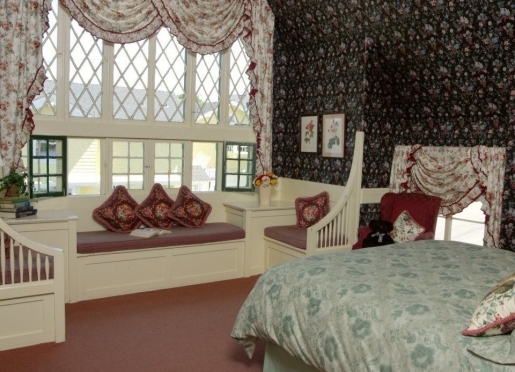 Breakfast in Bed is available for $10 per day. 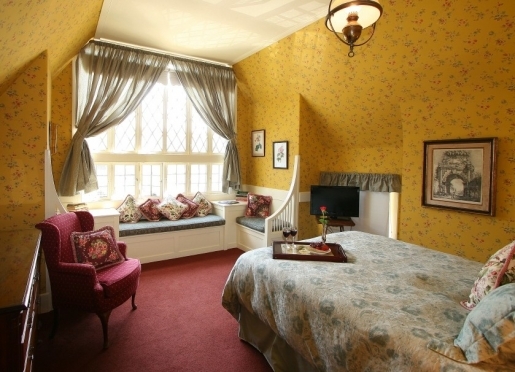 Simply ask the innkeeper for the Breakfast in Bed form at check-in and be sure to return it to the front desk by 7:00 pm the night before you would like to receive Breakfast in Bed. This service may not be available at all inns. Join us for a complimentary glass of wine, plus cheeses, and savory hors d’oeuvres each afternoon. 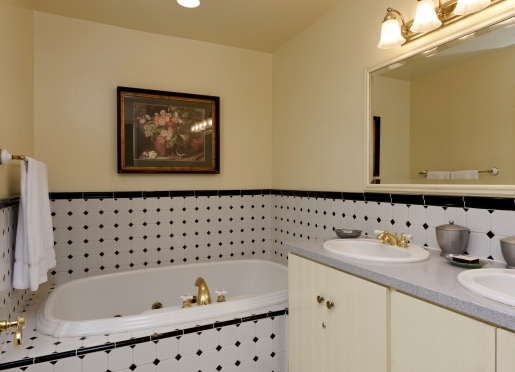 It’s the perfect way to relax and celebrate after a day of sightseeing. Plus, don’t forget about our cookies! Cookies are a Four Sisters Inns tradition – every day by 3 pm, you’ll find complimentary, freshly baked cookies, available near the the lobby area. We bake something different every day, so you never know which sweet treat awaits. 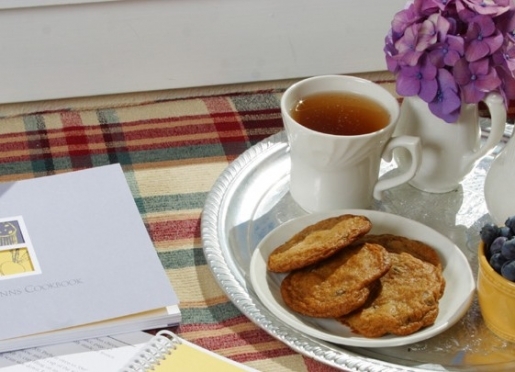 Our innkeepers are often asked for recipes, which is why we began compiling favorites in our own cookbook many years ago. Now in its 6th edition, The Kitchen at Four Sisters Inns is available at your favorite inn, as well as here on our website, for $15.95. 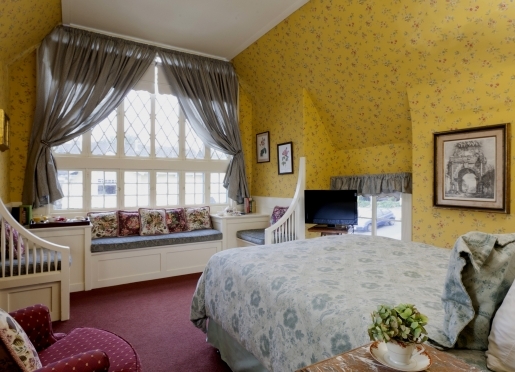 This updated version includes more than 90 recipes from our innkeepers, the same dishes our guests enjoy when they stay with us. Recipes are divided into five categories: Breakfast Sweets, Breakfast Dishes, Cookies, Tea Time Sweets and Tea Time Savories. The cookbook has a handy easel stand design; just pop it open and you’re ready to whip up a batch of Blueberry Lemon Muffins. 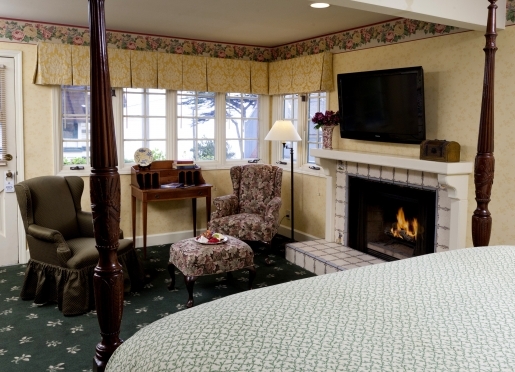 For natural beauty, it’s mighty hard to top the Monterey Peninsula. The dramatic, windswept coastline is a favorite of artists, film directors and photographers, and immediately familiar to anyone who follows the pro golf circuit on TV. The area’s individual towns have retained their distinct personalities, and appeal to visitors seeking different experiences. 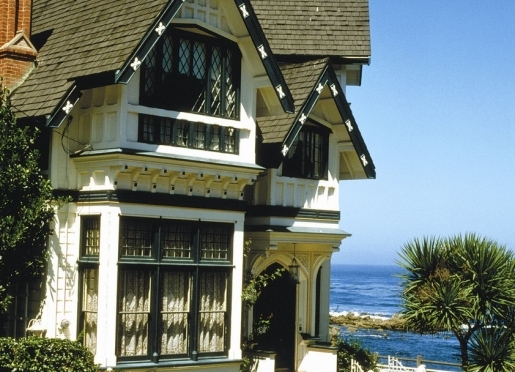 Once the capital of California, the city of Monterey was founded by the Spanish, evolved into a commercial fishing center, and is the Peninsula’s hub of commerce today. It’s also home to the Monterey Bay Aquarium, a wonderful place to learn about the abundant marine life of the central coast. Tony Pebble Beach draws the rich and famous, especially those who can swing a club. 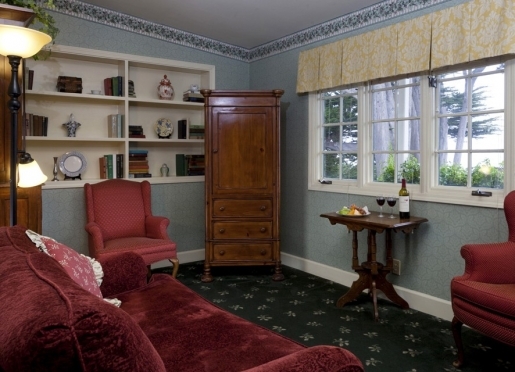 Charming Carmel is the focal point for the arts, with galleries highlighting every medium. 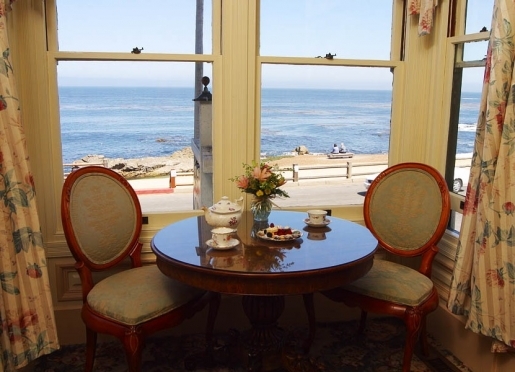 Pacific Grove is popular precisely because it is not touristy. 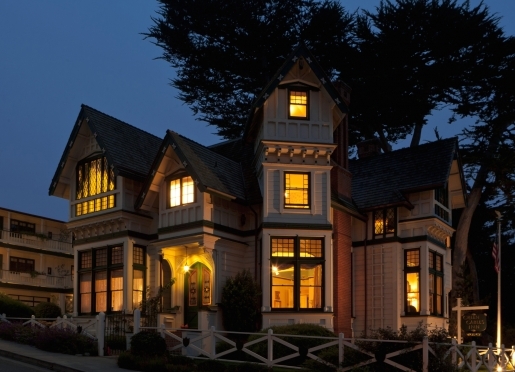 A beautifully preserved slice of 19th Century California, P.G. 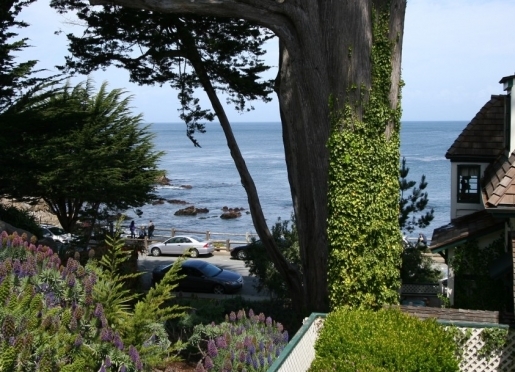 is a great place to hop on the 29-mile Monterey Bay Coastal Recreation Trail, whether on foot or bicycle. In the winter, P.G. earns its nickname – Butterfly Town U.S.A. – when thousands of Monarch butterflies spend a few months at the Monarch Grove Sanctuary off Lighthouse Avenue.